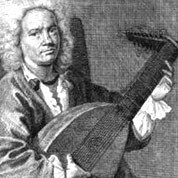 Ernst Gottlieb Baron was a German composer , music theorist and lutenist. He was taught by Nicolaus Bach and Silvius Leopold Weiss. His compositional work consists primarily of sonatas and instrumental works.